Our former sticky notes "Overview", "Due Diligence" and "Bring the Proxies up to date" have been disappeared (by the WordPress software) from the top of the page. As they’re important, I’ve put them as links in the "Favorite Posts" list in the sidebar. They’re still current, so if you want to add comments to them, please do so. This entry was written by John A, posted on Mar 5, 2005 at 6:01 AM, filed under General. Bookmark the permalink. Follow any comments here with the RSS feed for this post. Both comments and trackbacks are currently closed. Hi Steve, For some reason your website is not displaying correctly this evening. The sidebar is oversized and hiding some of the page. I don’t think I am doing anything different. John writes: I’ve fixed it. Sometimes when you cut-n-paste a table from somewhere else, you can bring extra tags you don’t require and screw up the weblog formatting. Home page of Robert Felix, author of “Not by Fire but by Ice” — about the coming ice age. Many pictures and links to reports (both general media and offical sources) supporting his view: record cold winters and snow falls, growing glaciers, thickening of the ice caps, etc. Like much of the general media articles warning of global warming, he makes a powerful case. Story after story, datum after datum. The contrast — the global cooling vs. warming data miners — demonstrates that the scientific method provides the only known source of answers rearding the physical world. This is from a layman, (and gasp! A small business person–who is wife of a more successful businessperson) so bear with me. Thank you for your wonderful site. I was in Japan when the Kyoto conference took place. They cut down a forest preserve to build the venue. No one in the west knows that! Logically this does not disprove the conclusions of Kyoto, but it is rather suspicious for a group concerned about global warming, isn’t it? I’m tired of being called an idiot for having doubts. I am tired of being told I don’t care about the environment. I do care about the environment very much! My husband and I are avid recylers…we don’t own a car–we walk to work, and we buy organic. We buy organic BECAUSE WE CAN. I do believe that we should protect the environment, but I don’t believe that Kyoto does that. And I believe that economic prosperity is what gives us the luxury to be concerned about the environment. 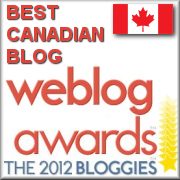 John replies: Although I’d love to accept all of the praise for the weblog, the real fount of wisdom is Steve McIntyre. I just help provide the software support for the weblog and occasional comments to help keep the show moving. Everybody’s intelligence gets challenged by science, but the issues in this weblog are not the result of intelligence or stupidity, but more of belief, reasoning and the challenges of real world experimental interpretation. Nothing is quite as easy as some people would have you believe. It’s OK not to have a PhD in climatology or a degree in mathematical modelling, but still be able to relate results from those two academic studies to checkable reality. As you’ve seen from the comments, not everybody accepts evidence presented, and that’s OK. I don’t get the impression from Steve that this weblog is an advocacy site for anything except critical thinking about climate science. Everybody can do critical thinking. It is a good thing. It’s a sad old world. We all start with the best of intentions but life turns us all a bit authoritarian eventually. It would be a pity to see this site run like RealClimate but I think Peter H and John H are abusing the free speech you have so far allowed . Perhaps you should start a “smoking room” thread in which you put all ad hominem and discussions of identities so the overwhelming majority do not have to put up with “passive smoking”. This would preserve free speech but prevent it from stifling useful discussion. It does seem that elsewhere where he is a moderator, Peter must have had some friendly counselling because after a long running baiting of one contributor, he said “OK, I’ve had some interesting discussions with others and I can now see some valid reasons to justify anonymity. And I take on board the comments about debate. I’ll leave it at that” And he has. Of come on David H, Carolynn. Where have I abused anyone first? I’ve certainly NOT called anyone here an idiot – no one is, Carolynn included (why attack me Carolynn? What have I said to you? Nothing!). I *have* replied in a *similar tone* to certain others though if I’ve been on the receiving end, that I don’t deny. And, yes, David H I *do* take things on board that make sense and my view about anonymity has changed a little, and my view re MBH99 likewise – I’ve made no secret of that. Yet, all I’ve got here for my putting a contrarian point of view to the general tone is abuse, accusation of trolling (though the first requirement for that is anonymity…) dismissal and the rest. Really, I know everyone here thinks all the evidence available from the IPCC, The Hadley Centre, NOAA and the rest is risible, wrong and probably conspiratorally wrong, but I’m sorry I don’t (cue accusation I have a religious faith in it no doubt and probably that I’m trolling) and I don’t see any contrary evidence on the horizon, despite the thousands of post here and elsewhere that I read (cue accusations of closed mindedness and, sigh, probably, again, that I’m trolling). You only have my word for but but I do have an open enquiring mind and, until I’m bored or banned I’ll continue to put my pov across as best I can! Peter I don’t see what did Carolynn said to upset you. I’ve shown you how easy it is for you to get me to change my mind — just give me a provable fact. I could definitely become an AGW theory supporter. First lets complete the MBH audit and replication and find MBH right, then point me to the classic (that’s like speed of light or curvature of the earth) experiment that shows CO2 is not saturated and finally point me to half reasonable proof that positive feedback exists at the level of the models in the real world. Do that and I’ll sign up. Actually Peter, I think you have a religious faith in the evidence because you signally fail, whenever challenged, to actually look at what the data is, not what someone in authority tells you what it is. Look at the data, as close to source as possible, and form your own opinion, enlightened as you like with such assistance as you wish, but first, look at the data. That is where it seems Steve started, and the data was not what was apparently presented, hence this whole site. David, what makes you think CO2 is saturated? Everything I’ve read suggests otherwise. If you melt an ice cap, or snow earlier than normal, you expose the ground. Ground/earth heats up faster than ice/snow – feedback warming. prolong the warming and frozen ground thaws – CO2 is released (or is it methane – whatever, more ghg). As the world warms this will happen more and more – right? Ed S. I’ve been pouring over surface temperature dats for years. The record looks reasonable to me. Just my opinion. Likewise with glacier sizes, sea temps, borehole temps, troposphere temps, stratosphere temps, etc etc. They all point to one thing, an enhanced gh effect, not much yet, but more to come, a good deal more. Arrhenius, S, Ueber die Wàƒ⣲meabsorption durch Kohlensàƒ⣵re, Annalen der Physik Bd 4. 1901, p690-705. Thanks Hans, this is a lot more interesting than who’s who. I have, of course, read of Arrhenius but do you know where I can see a translation? And what do you mean by “within the range of the experiment”? Unfortunately to my knowledge no translation exists. This reference is not his famous calculation of the greenhouse effect, but a later work. It was an experiment carried out in Berlin in the lab of Rubens. For a range of CO2 pressure lenghts (50-355 atm cm) the IR absorption was measured for two heat sources. The present day atmospheric concentration of 370 ppm coincides with a pressure length of 300 atm cm, which is within the range of the experiment. Peter, I don’t know the CO2 effect is not saturated. Arrhenius tells us its logarithmic which means the added amount has less effect than original. But, as I suspect Hans is about to tell us, there were a few problems with Arrhenius like looking in the wrong part of the spectrum. I gather that Arrhenius tested just CO2 at atmospheric pressure. This may be perfectly valid but is not the actual world which is more complex. As I said the basic CO2 effect is only step one and I have not been convinced that we know with great precision what doubling CO2 will do. So the next step with feedbacks seems, to me, just speculation on speculation. As for glaciers maybe you are right but as you know we only tend to get the bad news of those that are shrinking. The Franz Josef in New Zealand was reported recently as growing at 12 feet a day. I agree its getting warmer and mostly I like it. You said you been “pouring over surface temperature dats for years”. I’d be interested to hear what you think about the CET data. DEFRA say they are looking again at the pre 1772 data (even though Prof. Mann was happy to use some of it). Its all we have apart from written records of what people saw and experienced. Do you agree we saw a rise of about 2 deg C in CET from about 1700 to 1730? If this is just a regional effect when and where else can we see 2 degree for 30 year regional effects? If not how much colder did it have to be to freeze the Thames for so much of the year? I agree the 1730’s were probably warm. I doubt that, globally, it was as warm. I don’t see why the last questions follow. Only in the coldest of winters did the Thames freeze (and it was, you probably know, in part due to the flow being slowed by the multi pier bridges of the time). Last serious freezing of the Thames early 1800’s? Where is the link to the DEFRA look at the CET or a ref likewise? Note that Hadley say “The monthly series begins in 1659, and to date is the longest available instrumental record of temperature in the world.” So why do they and DEFRA censor the data pre 1772, especially since MBH used it from 1740 in their peer reviewed paper? And why didn’t MBH use it all back to 1659? Who says the bridges made the river freeze? How did they do it? Is there a peer reviewed paper? Re the first bit, shusshhh, it’s a wicked conspiracy! David, I searched the site looking for any information on the wonderful temperature measuring devices they used 300 years ago that are capable of measuring temperature to the nearest 0.01 degrees. If you have read my other posts on instrument accuracy and number precision you would understand why I am extremely skeptical of any temperature record that shows 3 significant digits. Michael, the CET isn’t quoted to .01 of a degree is it? The early years of it are calculated to .5C (sparse data) the later .1C. Take a month that has a constant temperature of 15C, now take five days that have a temperature of 17C, the average is then 15.3! On annual averages the really cold months contribute strongly to the annual average. Definitely quoted to 0.01 degrees which implies measurement to an even greater accuracy – just not believable! Here is the basics of error propagation on summations, which teaches that the error of a summation of values is proportional to the root of the squared summed errors. Example: A temperature sequence of 15 degrees summed ove 30 days with an individual error of 0.5 degrees has a sum of 450 with an error of 2.7. Taking the average is dividing by 30 and, as the error is relative, this reduces the monthly average error to 0.1 degree, even if the instrumental error is 0.5 degrees. Steve/John, it would be good to have a place on your blog to discuss new developments in climate science. There is a study called the EarthShine project which has been operating for some years and is summarised here http://solar.njit.edu/preprints/shumko1268.pdf. It involves measuring the earth’s albedo or reflectance by measuring earthshine on the moon’s surface. I’ve mentioned the subject here http://www.realclimate.org/index.php?p=119# comments hoping for some discussion but they don’t seem to know much about it. The reported responses from climate scientists are predictable. I can smell a battle looming. Re 22: Well I got that wrong! The new Scientist article as May 2004. My question now is why haven’t we heard more? Re #17: Hans, isn’t it the case that “the error of a summation of values is proportional to the root of the squared summed errors” is only true if measurement error is normally distributed about the reported measurement. If the measurements in your example had a bias error of .5 then the total summation error would be 15 with an average of 0.5. Your discussion of error propogation is mathematical magic. The error being reduced is the errors introduced by the various mathematical calculations. This sort of hand waving does nothing to change the inherent instrumental error which must be applied for each instrument at the end of the calculations. The various climate scientists are so caught up in their mathematics, theories and models that they have totally lost sight of the limits of the raw measurements. You are changing the subject from a statistical error in a well defined metric (i.e. the average of 365 thermometer readings with uncertainty 0.5 C), to the uncertainty of systematic errors, which is a complete different subject. This touches upon the problem of station homogenisations and UHI corrections. which are shown to be in the order of 1K, and can be adjusted by comparing adjacent stations. Your discussion of error propogation is mathematical magic. Actually it’s undergraduate physics, I thank much to my tutor Jan Kuperus, who also translated the classic by into Dutch. John replies: The “classic” book costs £110 on Amazon! It’s important to distinguish between resolution and accuracy. Resolution the degree of apparent precision with which a reading can be taken, accuracy is the difference between the observed reading and the actual thing being measured. If a single instrument is used, and it has a resolution of, say, 1 degree C, the result of averaging N readings will have a usable resolution of 1/rootN degrees C. However this won’t make any difference at all to any accuracy errors in the offset or linearity of the instrument which will remain unchanged. If you have a large array of instruments – as long as you can justifiably assume that the non-linearities and offsets are normally distributed – then you can reduce the offset and non-linearity errors in the same way. This isn’t magic, it’s just saying that for every negative error in the population there is probably a roughly equal positive error somewhere. So the absolute accuracy of a whole bunch of thermometers IS better. OK. So, where is the calibration and correlation data for the instruments in question? Correlation, at the time, would have been relatively easy. Stick all the thermometers in a big pot of water and read what they all say over their full range of intended measurements. Use whiskey if you want to check below zero. This will give you correlation data between the devices but only to the limit you can read them. With really good eyes you might read them to 1/3 degree and that would be the practical limit of resolution. It is all well and fine to speculate that the errors equalize out to something small but the effective resolution is still no better than 1/3 degree. That is 30 times less than the implied resolution of the listed data. And we still don’t have the calibration data. For all we know, a third of the thermometers could be out by up to 2 degrees in the middle of their range. That creates a large offset that varies with temperature. As new thermometers are added, if the correlation isn’t done then the offset of the group could change with time and could easily be larger than the actual temperature change. Lots of uncertainty and sources of error and no way to pin it down without the calibration data. Meanwhile, charting to 0.1 resolution maybe. Charting to 0.01 resolution, no way. Re #26 and #28 – Points taken. Here is a short history of thermometers http://www.chymist.com/Temperature.pdf with pictures of some of Fahrenheit’s early instruments – around 1700AD. Note the graduations ( between 0 [freezing of salt and water mixture] and 96 [body temperature] are at 4 degree intervals – a resolution of around 2 degrees C.
In #26 Hans mentioned UHI and if you look at the CET data shown at http://www.environment-agency.gov.uk/commondata/103196/304681 , it looks as if the CET is now increasing much faster than the global average. If you look at http://minerals.usgs.gov/minerals/pubs/of01-006/cement.pdf and plot the world cement production figures (asphalt is similar) you get another hockey stick. Most of what was ever made was made after WWII and most of that is still about, causing UHI. Those of us that can remember the 40’s and 50’s know that not only are there more roads but they are all much wider and that buildings have increased in size as well as greatly in number. One can argue how big UHI is but I have not seen anyone questioning its existence. This means that we are making corrections to some readings which are of the same order as the perceived trend while ignoring UHI in others. The accuracy of land based sensors has to be questionable and in any case the amount of thermal energy they represent is tiny compared with the oceans. The IPCC used various scenarios to model the likely effect of increasing CO2. Has anyone tried modelling these same scenarios assuming the observed temperature rise is that shown by the satellites or sea surface? The other thing to note from the CET data is that it was as about as warm in Central England in the 1730’s as the present global average. That may answer the question as to why Mann used the 40 or so exceptionally warm years but not earlier very cold ones.